The Copper River king salmon return is coming in better than forecast. Predicted to be the weakest on record, at about 29,000 kings, Alaska Department of Fish and Game Upper Copper River management biologist Mark Somerville says the forecast is being questioned –given recent week’s king harvest by commercial fishers on the river’s delta. “Even under a restricted area and time the commercial fishery has caught over eight thousand king salmon, which is unexpected and indicates that the return may be higher than we anticipated,” Somerville said. According to Somerville, the better than expected commercial king harvest is supported by data from a mark and recapture project. The information has resulted in the state beginning to peel back sport and subsistence king harvest restrictions. Somerville said the state has delayed easing a king harvest ban in the personal use dip net fishery at Chitina because of remaining uncertainly about the strength of the run and the fisheries popularity. Somerville said if it continues to appear the king run is better than forecast, and that escapement can be met, the state will open the personal use dip net fishery at Chitina to limited king catch. The personal use fishery opened this morning for sockeye harvest. 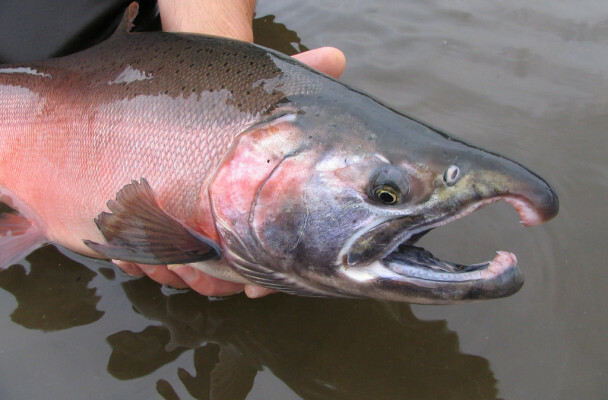 The Copper River sockeye return is forecast to come in at about 1 point 8 million fish, a slightly below average return.